Lets start with Diablo III, which once again has been confirmed to be released also for consoles, meaning it would be multi-platform. Have no fear though, for what I've seen so far it looks to play very similarly to its prequel Diablo II. The question about console version of Diablo III was raised by a regular Diablo fan in Twitter platform. Alias @TanGolX asked Blizzard's community manager alias @Bashiok in Twitter, whether he could confirm or deny console port of Diablo III, whereas Bashiok answered: "Yup. Josh Mosqueira is lead designer for the Diablo console project". This is good news for those who don't have good PC enough to run the newest upcoming Diablo, or prefer to be sofa-potatoes with big screen. 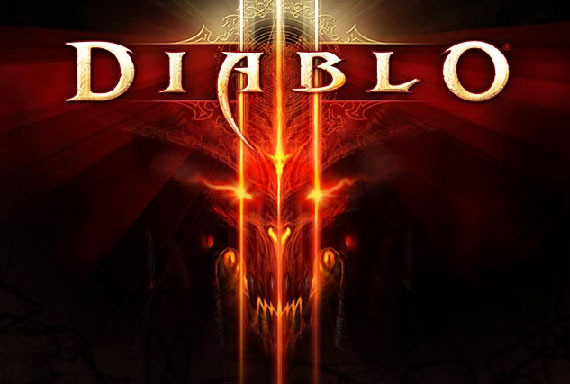 Diablo 3 has been long rumored to be released also for consoles, but Blizzard admits it has kept quiet profile about the case, because they have had some troubles gathering a team to develop console version. Josh Mosqueira is known of Relic's Company Of Heroes franchise. The console version will not be direct port, according to Blizzard, but it will be polished specifically for consoles. Years ago I recall there was Fallout MMO in making, but I don't have clue what ever happened to it. Sure thing is that it was never finished though. The question about making Fallout MMO raises again, as Bethesda Softworks has won rights to Fallout MMO over Interplay, the previous owner of the rights. The legal brawl was settled for worth of $2 million dollar pay out. To be more clear the rights were sold to Zenimax, of who's parent company Bethesda is. Zenimax CEO Robert Altman states: "Fallout is an important property of ZeniMax and we are now able to develop future Fallout titles for our fans without third party involvement or the overhang of others' legal claims -- While we strongly believe in the merits of our suits, we are pleased to avoid the distraction and expense of litigation while completely resolving all claims to the Fallout IP"
This raises hopes up about upcoming Fallout MMO, as Zenimax (Bethesda) has already spent money on the rights of it, why wouldn't they attempt to make it too? There surely seems to be markets for MMO's these days -- even for those big companies never made one, with games like Star Wars: The Old Republic coming out lately. Original Fallout franchise rights owner Interplay have rights to sell Fallout 1, 2 and Tactics until December of 2013, after which Bethesda will be granted rights to sell also these classics. Some more news considering to Bethesda and their latest hit game Skyrim. Those who have been struggling with Playstation 3 version and it's lag can hope that the lag will finally be gone. According to Bethesda's official blog, the soon upcoming patch 1.4 would fix PS3 lag issues, and the patch is planned to be released this month. The lag issue has been rather funny, seeing that I own Xbox version while my brother owns PS3 version, and framerate at the worst is like day and night between these two console versions. 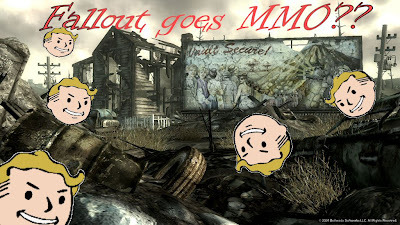 Hopefully this time, Bethesda! Very interesting chapters here I can see. It will interesting to see Diablo III on consoles. I would like to say best of luck to all.